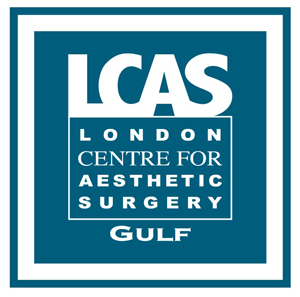 Here in LONDON CENTRE FOR AESTHETIC SURGERY GULF Dubai, Drs. Maurizio and Roberto Viel are performing penile enlargement not only with patient’s own fat but they have recently incorporate the use of adipose-derived stem cell (ADSC) to have a better result. Most men, especially those who are not “gifted,” are worried about the size of their private area. They may feel embarrassed to seek consultation or even talk about this issue. It often becomes a hindrance to their social life especially their intimate relationship with their partners. Male genitalia cosmetic surgery answers the growing need. For many years, penile enhancement procedures have been in demand. According to scientific research and studies, the use of fat with adipose-derived stem cells greatly lessens the percentage of fat absorption. How do they do this? To begin with, we will collect approximately 30-50 ml of fat through traditional liposuction. Afterwards, we send it to the stem cell laboratory located here in Dubai Healthcare City. This stem cell laboratory is responsible for processing, extraction, and expansion of these stem cells. At approximately 10- 14 days, once the stem cells have expanded to the right amount, this laboratory will then coordinate with us that it is ready for injection. We then inform the patient and schedule a convenient time to do the penile enlargement with adipose-derived stem cells. On the day of the penile enlargement with adipose-derived stem cell surgery, the patient will be placed under IV sedation. Drs. 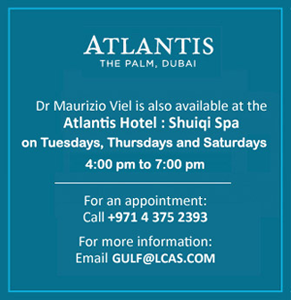 Maurizio and Roberto Viel will collect the fat that is needed for the penile enhancement. The fat can be collected from other areas such as abdomen and flanks. This procedure is done through liposuction. Once Drs. Maurizio and Roberto have an ample amount of fat, they then combine it with your adipose-derived stem cells. Recovery from this procedure is minimal. You will be able to work in a week’s time. For over 25 years of experience in the field of cosmetic surgery industry, the Italian twin plastic surgeons are known for their expertise in most cosmetic surgeries e.g. MACS face lift, Breast Augmentation, Fat grafting/fat injection to breasts, and VASER liposuction. To know more about penile enhancement with adipose-derived stem cells, click here.